Firefly are the only licensed UK and Ireland distributers for this product. 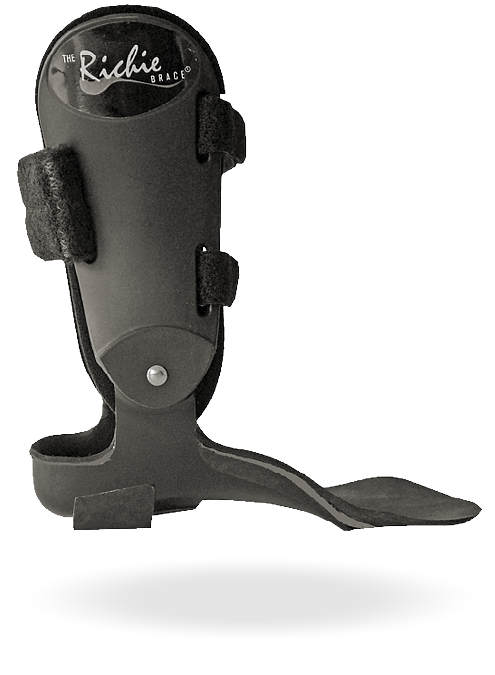 The Richie Brace ® was introduced to the medical community in 1996 and has proven remarkably successful in the non-operative treatment of a number of foot and ankle pathologies. Over 14,000 patients with adult acquired flatfoot secondary to posterior tibialis tendon dysfunction, chronic degenerative arthritis of the ankle, and tendon injuries around the foot and ankle have benefited from this unique device. The Richie Brace is a custom ankle brace (ankle foot orthoses) designed to treat chronic conditions of the foot and ankle. Introduced to the medical community in 1996, The Richie Brace® has revolutionised the non-operative approach to the most challenging pathologies treated by the foot and ankle specialist With a contoured balanced orthotic footplate articulated to adjustable semi-rigid lower leg uprights, the Richie Brace® is ideally suited to stabilize rotational forces at the Midtarsal Subtalar and Talo-Crural joints. Modifications and enhancements are available to add further restrictions of motion in sagittal, frontal and transverse plane. 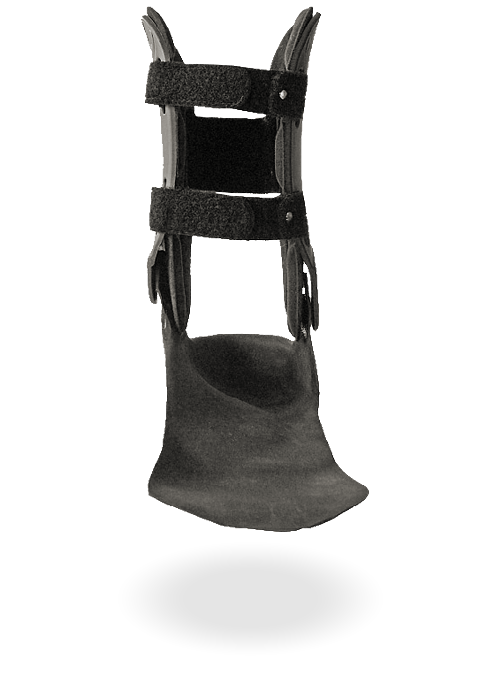 The Richie Brace is fabricated from an impression cast taken of the patient’s foot and lower leg. The Richie Brace’s lightweight, low-profile design is preferred by patients over traditional longer leg solid shell ankle foot orthoses. Introducing the Richie Brace range of ankle foot orthoses to your podiatry practice can expand the range of therapies you offer, grow your patient base and add value and profit to your practice. At Firefly’s clinical division in Ireland, we have successfully treated large numbers of patients suffering from a range of pathologies including Flatfoot and Dropfoot. At the Firefly Summit 2017, biomechanics podiatrist Sophie Roberts presented a case study on foot drop and gait changes with a Richie Brace, Orthoses and FES (functional electrical stimulation). The presentation is evidence of the success the brace can achieve. The Richie Brace requires a negative impression cast utilising either Plaster of Paris or the STS Casting Sock. Neutral suspension technique is recommended while plantarflexing the First Ray. In this video Firefly Orthoses’ Founder and Medical Director, Martin McGeough demonstrates casting a patient who has been prescribed a Richie Brace using Plaster of Paris. Click here to access Doug Richie’s website. Now you can scan for Richie Brace by simply using an iPad and Structure Sensor Scanner! Digital scanning takes half the time of traditional foot capture methods, requires no casting material and eliminates the messy clean-up associated with plater of Paris and improves turn around times with data submitted to our lab instantly! All the Richie Brace models can now be fabricated from a scanned image of the patient’s foot and ankle. Using the Structure Sensor scanner attached to the iPad, the practitioner can take a 3D scan of the lower leg and foot and then submit the data instantly to Firefly for manufacture.